Ocean Air & Salty Hair! 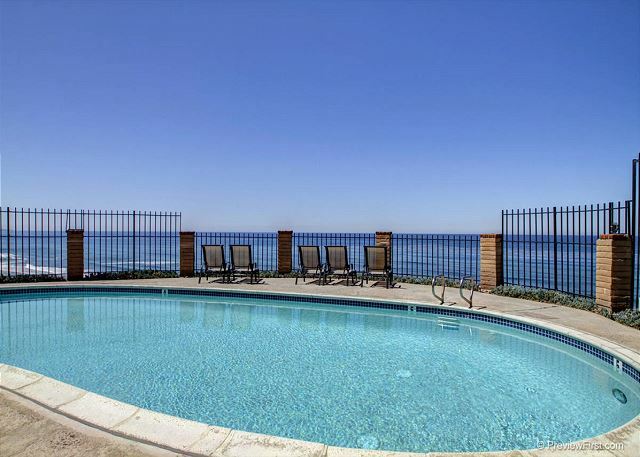 Imagine enjoying ocean views, spectacular sunsets and sunrises from several places in this ideally located condo. Inside you can enjoy the views from your kitchen, living room and front patio. Sip your morning coffee or tea while watching the sun rise & sunset while ocean breezes blow by. 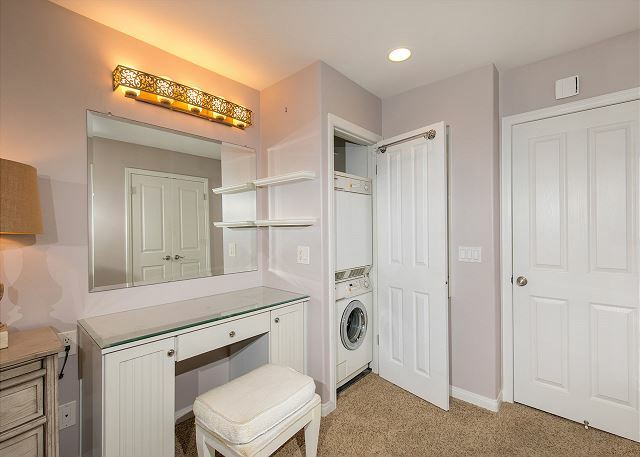 This 1-bedroom 1-bath 895 sq. 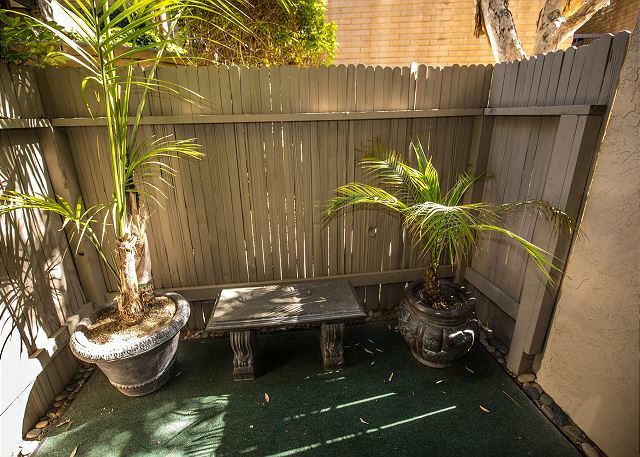 ft. condo is located mid- floor and is a great place to experience the best of Southern California’s inside/outside lifestyle. The complex provides an oceanfront pool and jacuzzi and also provides beach access. A great surf spot and awesome beach are just steps away! 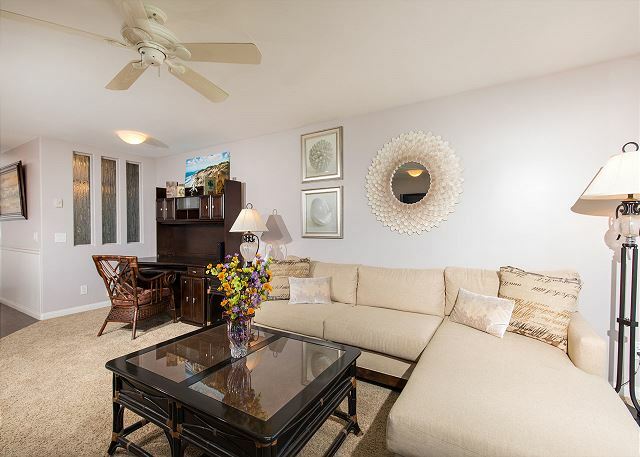 The living room is light and bright with a comfy couch, work area and a large flat screen TV. 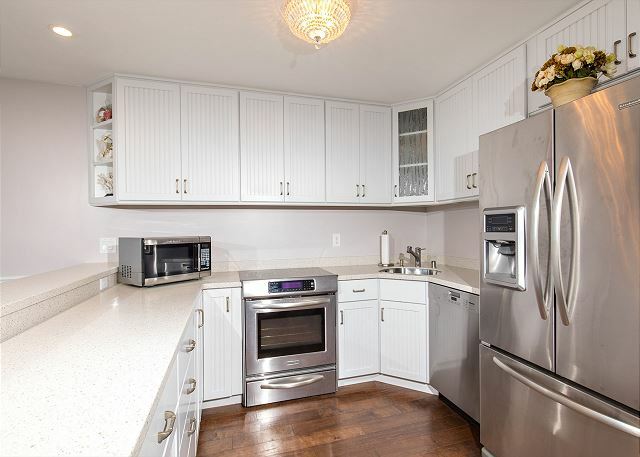 The dining area and remodeled kitchen - also have ocean views through floor to ceiling windows. A comfortable and tastefully decorated master bedroom has a king size bed and ensuite bath with walk in shower - no tub. There is a tacking washer and dryer for your convenience and luxury bed and bathroom linens are amply supplied. 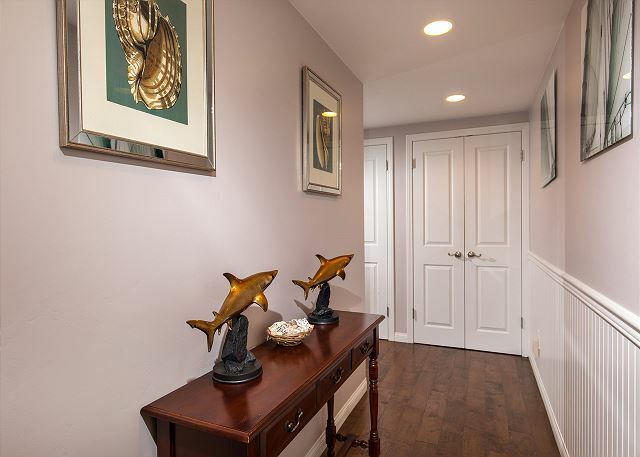 Additional amenities include 2 garage parking spaces and public parking outside the complex. There is WIFI and cable. The living room and bedroom have ceiling fans for warm days and evenings. 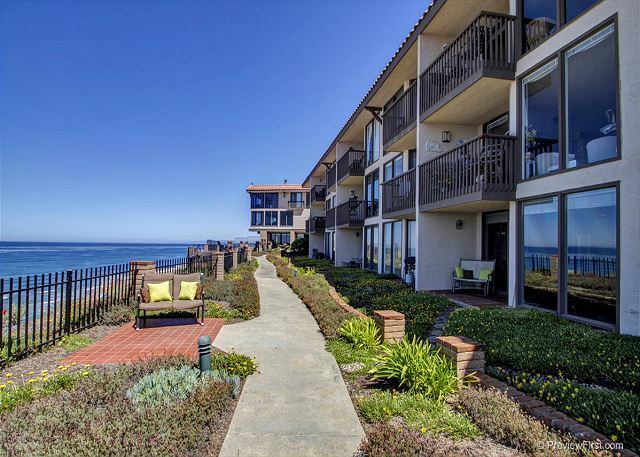 The Del Mar Shores Terrace complex is within walking distance to Fletcher Cove, Dog Beach, Belly Up Tavern, Cedros Shopping District, The Train Station, and many outdoor restaurants. 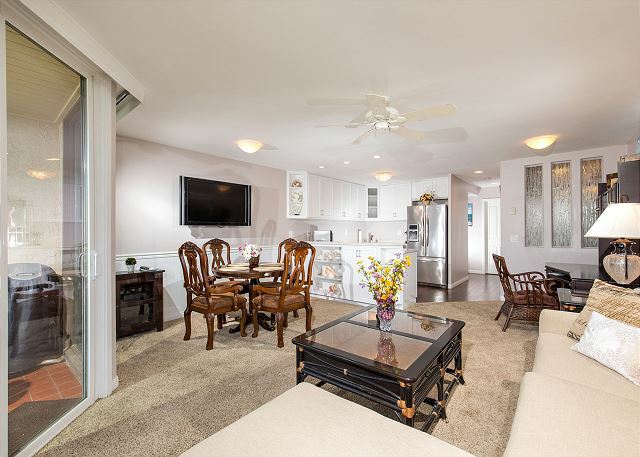 It is also conveniently located thirty minutes to downtown San Diego and many famous attractions such as Sea World, LEGOLAND, and the San Diego Zoo. 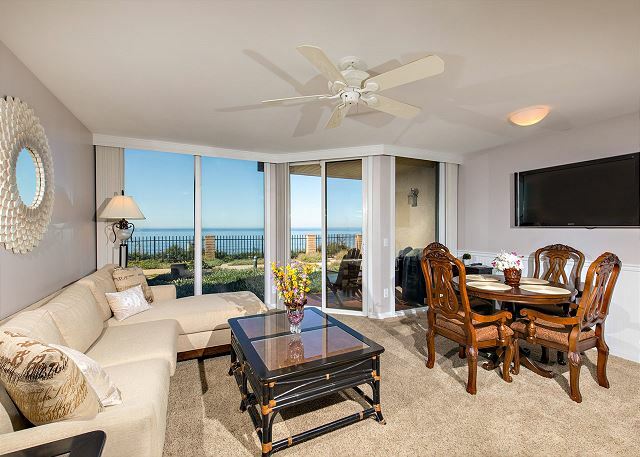 Enjoy California coastal living at its finest and create memories that will last a lifetime. There is no smoking allowed inside or outside any of our properties. This home (like most in this coastal area) does not have air conditioning. Floor fans are provided for your comfort. 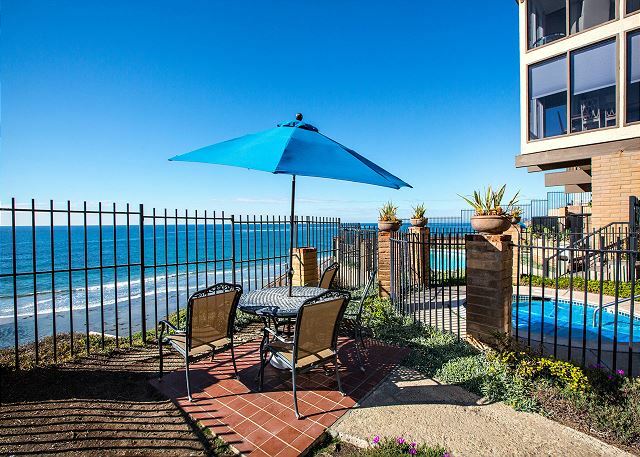 The Solana Beach city ordinance requires a 7–night minimum rental. Saturday arrival and departure are required late June through late August.